DukeEngage-Washington, DC (2017) on the steps of the Supreme Court. 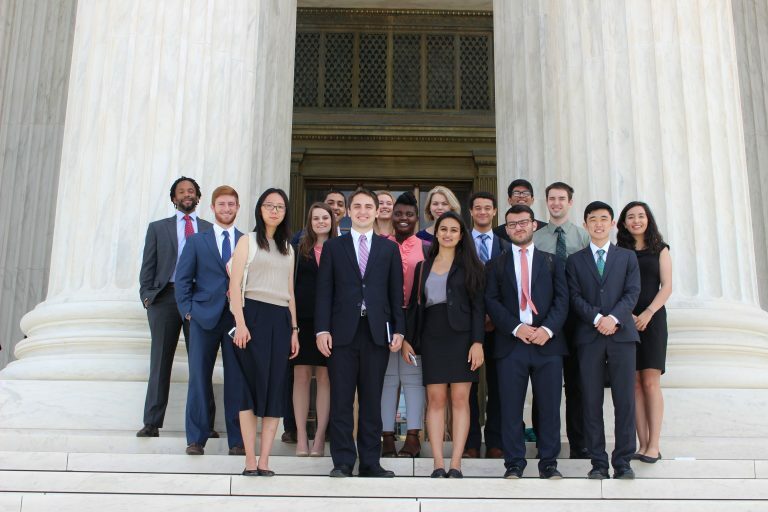 DukeEngage student James Hwang recently returned from the DukeEngage program in Washington DC; through the month-long program, he worked closely with those in Washington involved in health care policy as well as global heath initiatives. To read his full reflection, click here.